Students and lecturers have the vision and determination of Chris Foss to thank for creating the operation which exists today. Chris was bought up in France on a vineyard in Bordeaux owned by his mother’s family. At university Chris studied microbiology and later qualified as a teacher – after university Chris ran the family vineyard for 6 years, during which time he studied wine making and worked worked in vineyards and wineries in Sauternes (Chateau d’Yquem) and St Emilion, becoming Winemaker for the GFA Leclerc vineyard group. Chris speaks fluent French which was distinct advantage in gaining practical experience. In 1988 Chris started the first courses in Wine Production at Plumpton College after three years teaching in secondary education. During the early days the Wine Department only had two rows of vines, now Plumpton boasts a 16 acre vineyard locally, another a few miles to the north in Scaynes Hill and a small research vineyard inside the college grounds. Since Chris established the Plumpton College Wine Centre it has become a centre of excellence for cool climate wine production and is recognised throughout Europe and the rest of the world for its’ work including establishment of the first dedicated Viticulture and Oenology Research Centre in the UK. Expansion of The Wine Department has enabled the team to develop postgraduate provision in wine and undertake research, in collaboration with colleagues from the University of Brighton, whilst still delivering outstanding education for the students. Research is an important problem solving tool for the expanding English & Welsh wine industries and of international importance for cool climate wine production. 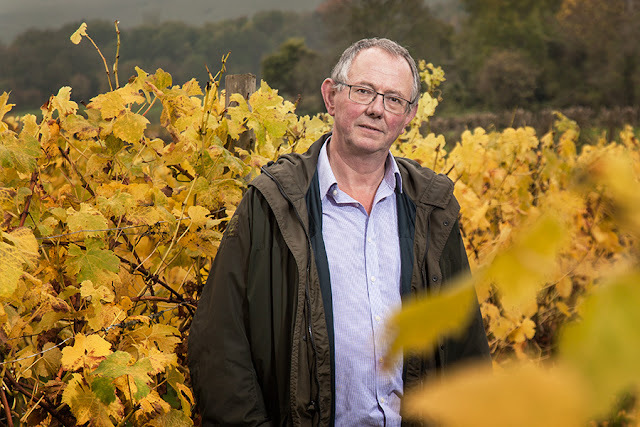 Chris Foss in the Wine Department vineyard at Ditchling. Chris leads a talented team of international staff delivering courses to around 130 full-time students plus part time and specialist courses each year. In September 2014 Plumpton started the UK’s first MSc course in Viticulture and Oenology, alongside existing popular undergraduate degrees. Chris takes great pride in the fact that “Our courses are unique, being the only English language undergraduate and post graduate viticulture and wine courses taught in Europe”. Plumpton graduates now work all over the world including Australia, Burgundy, England (naturally), California, Canada, Chile, Languedob-Roussillon, New Zealand, Portugal, & Languedob-Roussillon. 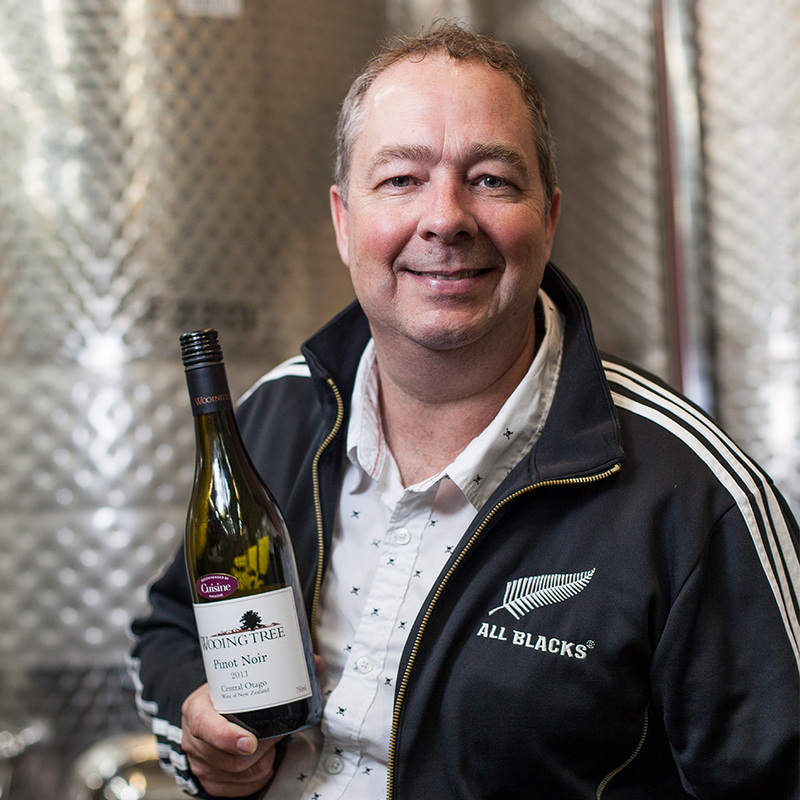 Late in 2015 Plumpton graduate Steve Farquharson visited with some of his Wooing Tree wines for students to taste – coincidentally the visit from New Zealand coincided with the Rugby World Cup! As Chair of South East Vineyards Association Chris is heavily involved in organising the 2016 ICCWS International Cool Climate Wine Symposium in Brighton after visiting Tasmania in 2012 as part of the successful small delegation of Brits who pitched for the privilege of hosting the prestigious event. I’m a commercial photographer based in Burgess Hill, West Sussex and have worked with Plumpton College since the 2001 Foot & Mouth Crisis where I created a calendar to raise funds for the college Rag Week. I created the Board Room portrait of past Principle John Brookham. I’ve lived and worked in Sussex all my life and am passionate about the countryside and rural economy. In 2008 I founded Friends of Wolstonbury www.wolstonbury.com a conservation group who maintain a very special part of the South Downs National Park alongside the National Trust.